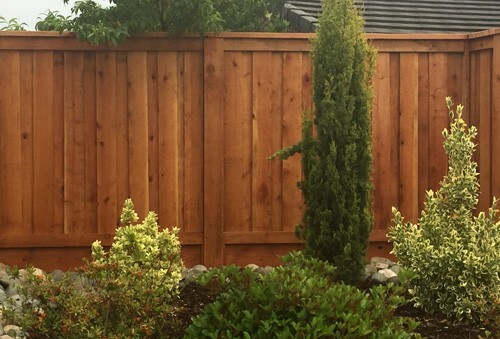 Fence Contractor & Repair in Roseville, Orangevale, Citrus Heights, Folsom CA | Aguilar Fence Inc. If you’re just replacing your backyard fence or putting up a decorative front yard fence we can satisfy all your needs. 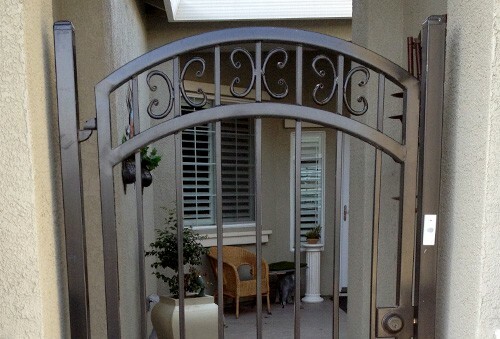 Our experienced iron fabricators can do a standard panel for a dog run or pool fence or get as decorative as you’d like on an entry or courtyard gate. We do all types of iron fabrication and installations. By the foot or by the mile we can satisfy your fencing needs. Includes Iron Fencing and New Subdivision Fencing. Here at Aguilar Fence we have over 20 years of knowledge and experience dealing with all different types of fencing. Custom or standard wood, iron or chain link – we can build it! Our knowledgeable staff is eager to help you with any of your fencing needs. We would love the opportunity to prove to you how committed we truly are to your specific needs. Give us the chance and our work will speak for itself. We are confident you will never need another company for your fencing needs. Please Contact Us today. Specializing in residential premium redwood fencing, iron fencing, driveway gates, pool fencing and decorative fencing. We can take your ideas and turn them into reality. From driveway gates, iron on windows, perimeter iron fencing, to gates... send us something you might like and we will get you a price to build it. 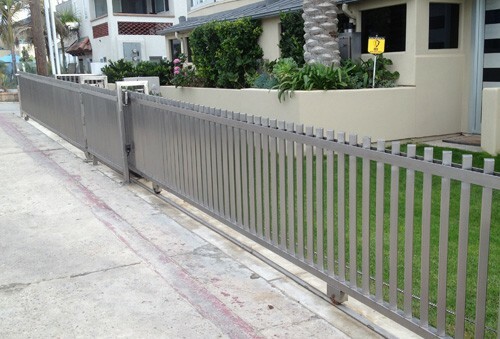 By the foot or by the mile we can satisfy your commercial fencing needs. Includes Iron Commercial Fencing and New Subdivision Fencing. Thanks to you and the crew at Aguilar Fence for my new fence!! You were very professional and the crew did a great job. They were very courteous and the fence looks good! Guy and Debbie K We just wanted to let Aguilar know that we love our new fence. It looks so nice out back. I call it the Fastest Fencing in the West. We look forward to doing business with Aguilar Fence in the future. Thank you and thank the guys that did the fencing. Great guys!! Donna F Please tell Mark that your guys did a wonderful job on my fence. I couldn’t be happier. Thank you so much for getting the fence done so quickly. You’re a wonderful company to deal with. We just wanted to let Aguilar know that we love our new fence. It looks so nice out back. I call it the Fastest Fencing in the West. We look forward to doing business with Aguilar Fence in the future. Thank you and thank the guys that did the fencing. Great guys!! Please tell Mark that your guys did a wonderful job on my fence. I couldn’t be happier. Thank you so much for getting the fence done so quickly. You’re a wonderful company to deal with. Thank you for a wonderful fence. Dmitriy #2 and his helper, did a great job building a straight new fence and upgrading the Neighbor's fence to match. The neighbors' are as happy as I am. 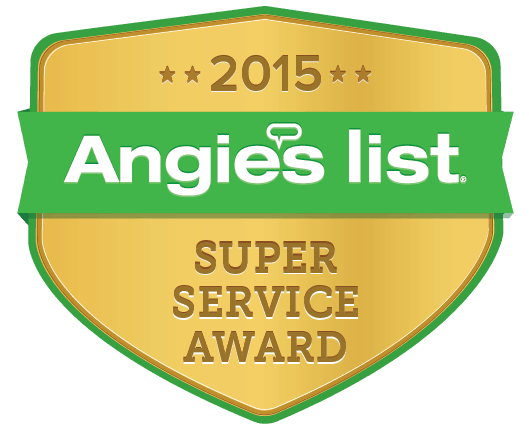 We will continue to recommend your company! I look forward to working with you in the future. I just wanted to reiterate what my wife and I told you on the phone today. We are very happy with the fence your crews installed, and are very impressed with the crews you sent out. they looked to me to be very efficient with a strong work ethic, and were very interested in making sure we were happy with the job. If anyone asks us if for a good fence contractor, we will give them your info. We’ll be writing a Yelp review too! Good Morning, thanks for ALL your help and making the whole process a pleasant one due to all the communication to keep things flowing. Enjoyed the experience. I will be recommending you folks in the future. Keep up the good work. Thank you for getting our fence completed in one day. It worked out great. I didn’t want the fence down as the kids next door have little kids and I didn’t want an accident in our pool. Our fence looks amazing; they did a great job! Thank you! I’ve been meaning to email you all and let you know how thrilled we are with our fence and the amazing customer service you gave us. We would like to set up an estimate for the rest of our fence! I just wanted to let you know how happy I am with our new fence! The guys showed up on time and did an excellent job. Soo much so that I would like for you to send someone out to give us an estimate for the side fence! Please call me tomorrow. Thanks to all for the awesome job! Your men just left and all I can say is GREAT JOB. Your men were very quiet and got the job done. I didn’t realize there were here. If you need a reference, I will gladly give one. Just wanted to say thank you for helping me with my fence. It is beautiful and I am so happy with it! The guys did a great job and I was really impressed. I will definitely be referring you to friends and family! Also, my neighbor will be calling you soon. We are so pleased the job done by your company that I feel compelled to write this note of appreciation. We live out of town and this was our daughters house. I just had a chance to see the work that was completed. I am very much impressed with the quality and the workmanship. I am a licensed Civil Engineer, Master's Degree in Engineering, specialized in Structural Engineering and know something about design and construction of wood, steel and concrete structures, including bridges, dams and buildings. So when I say impressed, it better be good. And I was! Your office managers Michelle and Stephanie were excellent in customer care, very efficient in communication, polite, pleasant, patient, responsive and prompt. Dmitriy who came out was very professional as well. He explained all steps. Your crew came as scheduled and finished the work in the day as promised. By the way, the gate latch is excellent. Our thanks to your A-team. Please note that some images on our site have been obtained from other organizations and permission to use these images should be obtained directly from those organizations.